76920-9249 - Large Parts Bag. 76920-9259 - Small Parts Bag. 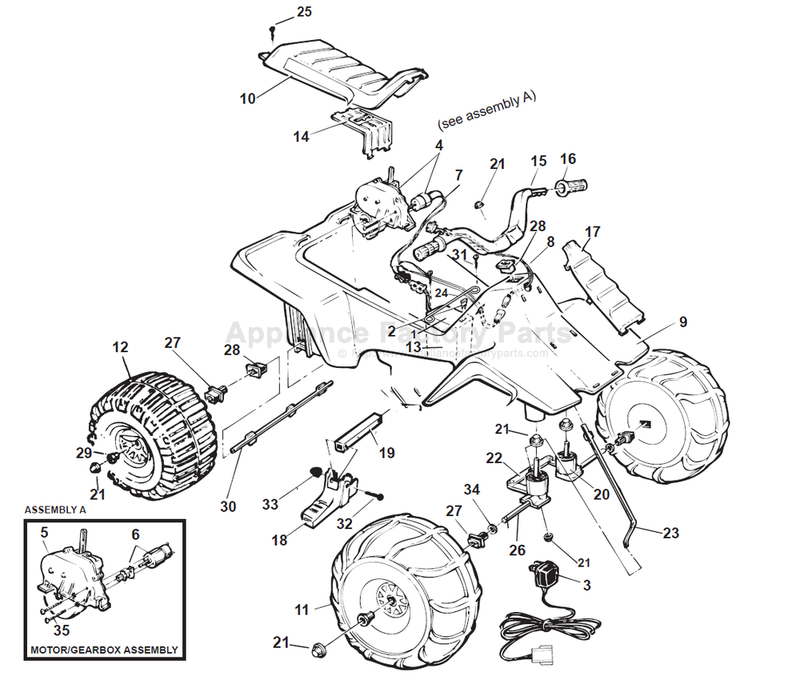 24 74504-4429 - Battery Retainer. 14 73560-9489 - Motor Cover. 32 0801-0304 - No. 10 X 1-1/4 In. Bolt. 29 78560-2679 - Round Bushing. 26 74504-4509 - Front Axle. 30 74504-4539 - Rear Axle. 22 74504-4219 - Steering Linkage. 13 73560-0401 - Foam Pocket. 19 76940-2179 - Footrest Support. 10 76920-9319 - Seat (green). 16 76920-2159 - Hand Grip.